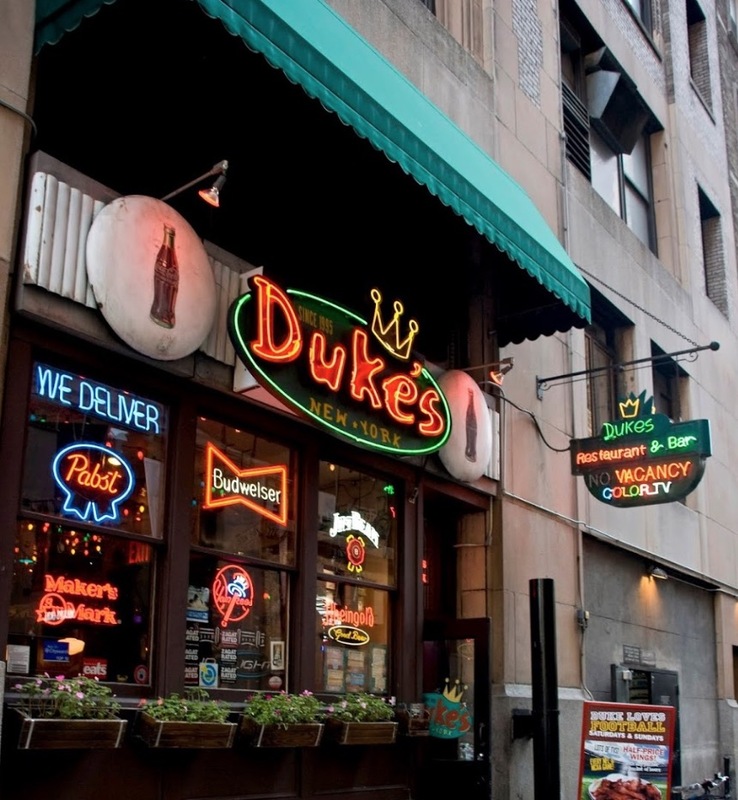 Tonight is the last night of the original Duke's "roadhouse" bar in Gramercy. Are we seeing a mass die-off of the urban faux-roadhouse and honky tonk? First Rodeo Bar was booted by a rent hike, then Hogs & Heifers by a massive rent hike, and now Duke's, for reasons as yet unknown. They were all in their 20s. When will Trailer Park succumb? Can't say I was ever a big fan of Duke's. It was, for a brief time, an after-work spot when I worked near there. That's about it. New York describes the place: "The kitschy touches at Duke's begin right at the door, where a large hotel-style neon sign advertises color television and vacancy. You'll find both inside, where the crowd is strictly J. Crew and the nine big-screen TVs, usually tuned to this day in sports." And "The per-capita percentage of curved-bill baseball caps is frat-basement high." Owned by the City Crab guys, it's somehow physically connected as well. No real surprise here as Danny Meyer has announced he's relocating the Union Square Cafe to the City Crab space. I was surprised it took another week to read of Duke's demise. No great loss as it's ribs were always "meh" and the crowd even moreso. The bar was a hideous yuppie zoo, and the food was just OK (but they gave you a ton of it). I can't see any reason to bemoan the lack of a yuppie fad-theme watering hole like Duke's. It had no real sense of tradition, and it added nothing to the character of the city that you couldn't find in an Ohio suburb already. I can't argue with any of the above comments. AND speaking from experience: they treated Bands and Musicians like crap. city crab is closing in september (union square cafe is moving in with a 15-year lease), so perhaps the entire building(s) was sold. Glad to see this was not a piece lamenting the loss of this contrived and tacky honky tonk Jeremiah! To me these places represented a period when things were really starting to get strange in New York. 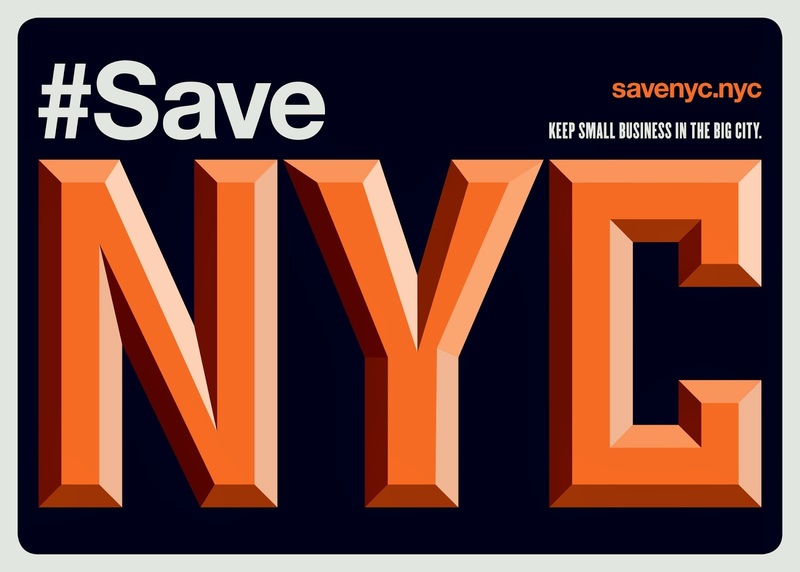 New York always had it's own identity that was mimic'd the world over. Dukes arrival was near the beginning of the theme park restaurant trend that still continues today. All of a sudden we started getting spoon fed cultural gibberish from around the world in the late 80's-90's Maybe this is now the beginning of the end of the kitschy faux-nostalgic Epcot center philosophy of entrepreneurship in New York? I highly doubt it, but it does signal some kind of change as this is not the first closing of this kind of business to surprise me. To me this is a little glimmer of hope that things might be swinging back to sanity and reality. There is a market for country music and food. High rents however prevent that. Sad.